New study uses game theory to uncover the mating games male lizards play, and how climate change is impacting their gaming strategies. Dan Friedman, a behavioral economics professor at UC Santa Cruz, says lizards are an interesting species to explore the science of strategy known as game theory. Photo: Melissa De Witte. Side-blotched lizards are known for their unique, polymorphic mating habit - documented by UC Santa Cruz biology professor Barry Sinervo. Photo: Public Domain. 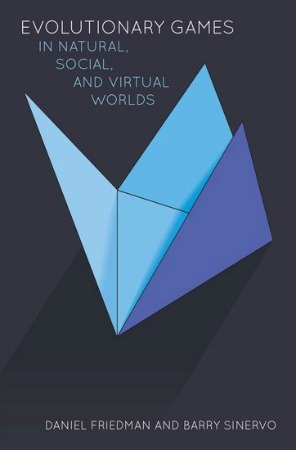 Dan Friedman and Barry Sinervo also co-authored Evolutionary Games in Natural, Social, and Virtual Worlds (2016, Oxford University Press), one of the first books to apply game theory and evolution to real world examples. It might seem puzzling that an economist would study reptiles in the Californian desert - especially their dating rituals. But to Dan Friedman, a behavioral economics professor at UC Santa Cruz, lizards are an interesting species to explore the science of strategy known as game theory. For over ten years, Friedman and Sinervo have closely worked together in an interdisciplinary partnership: the pair have taught the class Evolutionary Game Theory together, one of the few classes where students from all levels (undergraduate and graduate) and backgrounds (social sciences, biology and engineering) come together to develop new understandings of how populations evolve. Friedman and Sinervo also co-authored Evolutionary Games in Natural, Social, and Virtual Worlds (2016, Oxford University Press), one of the first books to apply game theory and evolution to real world examples. Now Friedman and Sinervo are using game theory to better understand the mating habits of lizards. Recently published in the prestigious academic journal PLOS One, Friedman and Sinervo report their findings from studying the 26 generations of the side-blotched lizard, a reptile common on the Pacific Coast of North America known for their distinct, polymorphic mating habit. Like game theory, there is a set of calculated decisions side-blotched lizards make when mating, decisions that involve conflict, cooperation, and consequences. Male lizards morph their throat color to be orange, blue, or yellow. Each color carries their own set of characteristics: if the lizards are orange, they can aggressively whomp out the blues. But the oranges don’t notice the yellows, who look enough like females that they can sneak into the orange territory. But then there are the blues who can spot the yellows and drive them off. Blues cooperate with their blue neighbors in chasing away yellows and in trying to stand up to the orange bullies. “Game theory can tell us how it should all turn out when evolution selects the fitter strategies over time,” says Friedman who together former grad student and co-author Jacopo Magnani developed a powerful new statistical technique that determines how the numbers of orange, yellow and blue lizards change from one generation to the next. Sinervo described the male lizard strategies as analogous to a game of rock, paper, scissors. “The technique should work for any sort of plant or animal (and maybe for human societies) where fitness has a strategic component, that is, where fitness of any behavior depends on frequency of other behaviors,” says Friedman about the applicability of the matrix he and Magnani created. But Friedman and Sinervo’s paper shows that there is a crucial but subtle difference in the basic rock, paper, scissors matrix. In basic rock, paper, scissors, meeting your own strategy gives a middling payoff: rock vs rock is a tie. With lizards, meeting your own strategy is fatal. “It’s as if it were worse for rock to meet rock than to meet paper,” says Friedman. In sum: game theory is vital to their mating system, where both competition and diversity in the species is essential to the reproduction cycle. Alarmingly, the researchers found that the dating game is changing. Male side-blotched lizards are repeatedly coming against their own sub-type. The reason? 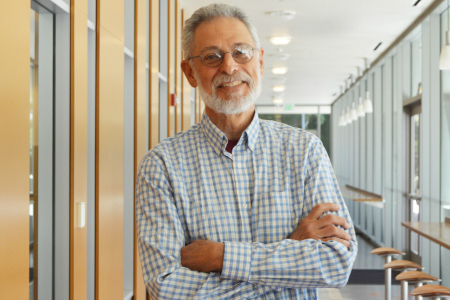 The UCSC researchers say climate change. Friedman and Sinervo found that some sub-types are unable to adapt to environmental changes in the region, like temperature changes. “As strategies are lost, the mating system collapses,” write the authors who took their mathematical analysis a step further by developing a matrix to predict future population outcomes. 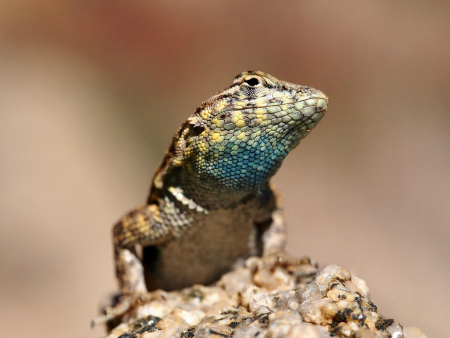 “This new picture of the evolutionary dynamics at a local scale also explains morph variations across the geographical range of the side-blotched lizard,” write the authors. “Indeed, many northern populations in both the Great Basin and the Coast Range of California exhibit fixation on orange and orange-blue combinations, with yellow being the most susceptible to selective loss. This loss likely arises because yellow sires derive most paternity fitness from later season clutches, but cooler and shorter seasons in northern populations removes the advantages of yellow males, fixing on orange and orange-blue combinations,” they add. Friedman and Sinervo’s findings come at a time where America’s diversity - environmentally, socially, and politically - is increasingly under threat. Can game theory and evolutionary biology tell us what will happen to the future of the country? Only time will tell. “Evolutionary Games, Climate and the Generation of Diversity” was also co-authored with Jacopo Magnani from the Division of Social Science and New York University Abu Dhabi with contributions from Dhanashree Paranjpe in the Ecology and Evolutionary Biology Department at UC Santa Cruz.